Accessory items are subject to change. of Western Australia, saltwater, and everything in between. Don’t be fooled by those who want to call this a “mid-range” PI detector because of its price. 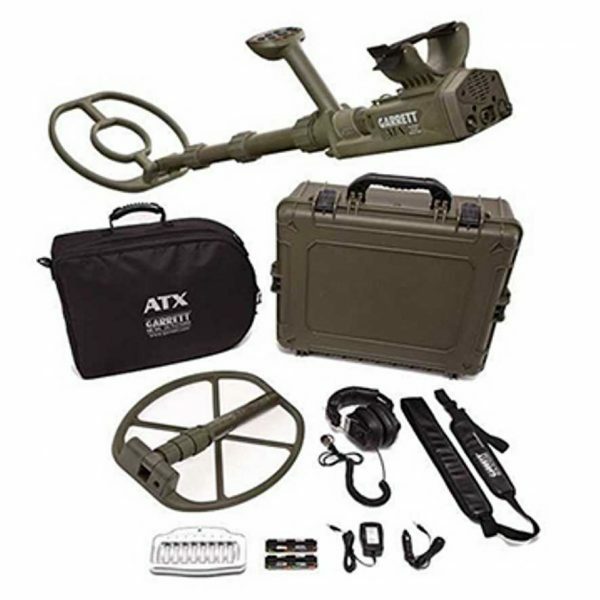 The ATX performs head-to-head with the most expensive prospecting detectors in the world. Even better, the ATX has maximum detection on all targets all the time. No need to switch modes or switch coils to improve detection on small gold while degrading detection of larger nuggets. It has advanced pulse induction technology, a durable mil-spec design, a new DD coil design, and unrivaled PI sensitivity on tiny gold. The Garrett ATX is the ultimate gold detector for all terrains and extreme conditions. ATX finds gold in Brazil Mike H.’s ATX finds. Danny finds 15 ounces with his ATX in Western Australia. Steve finds rings with his ATX. Steve H. finds gold with his ATX.